Sooner or later the problem of “non-citizens” will solve itself. Until then, it seems, the EU stands back. In the beginning of this year there were still 253.640 non-citizens in Latvia. From originally 700.000. They live in Latvia but don’t have a Latvian or any other citizenship. In the past 23 years, the number has decreased greatly. But it is not primarily because of the naturalization test that stateless people are allowed to take in order to get the citizenship. Instead, most of them have died in the past years. Many people in Riga believe that the government is just waiting for the problem to disappear However, politicians underline that they want to complete this process as quickly as possible. “We cannot force the non-citizens to apply for the test and get a Latvian citizenship,” says Rihards Kols (29) of the co-ruling right-wing party “National Alliance”. He ruled out that the test will get “simplified” or that citizenships would be “given away like candy”. During the accession negotiations with the EU, the non-citizens-issue was a big topic. In 2004, the EU contributed money for language and history courses. It worked out great – the naturalization-rate of the Russian minority increased significantly from 2004 to 2006. After that, the EU-Commission backed down. From now on it is an internal Latvian-problem, they say. As a result, since 2008, there were only a few thousand people per year who passed the naturalization-test – last year only around 1500. 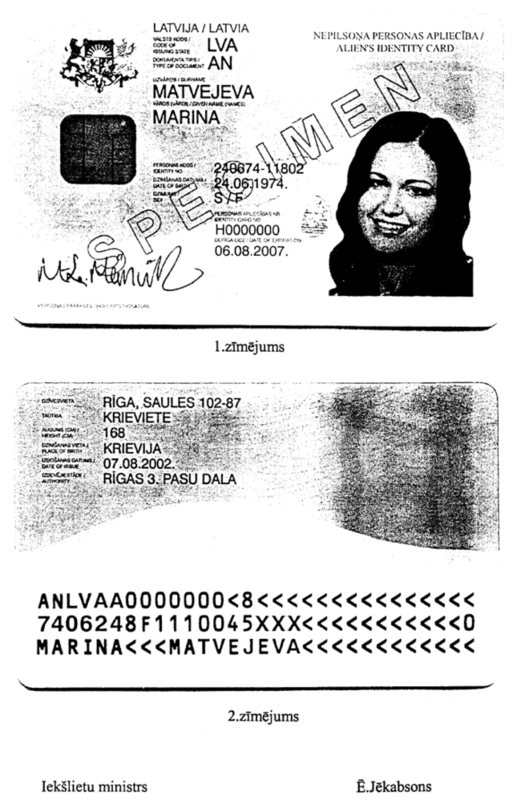 But at least something got better: since this year non-citizens may register their children as Latvian citizens. As long as they are younger than 14 years old. They have just to fill in a form. If the situation continues like this, in a few decades it is pretty likely that there will be no more non-citizens. Nonetheless, it is far more than a bizarre game of patience.